Plenty of lambs and sheep to the slaughter. Home > Sheep > Plenty of lambs and sheep to the slaughter. 13 Mar Plenty of lambs and sheep to the slaughter. It seems there was plenty of slaughter capacity which wasn’t being used last year. Despite the Thomas Foods fire taking out 55,000 head of capacity per week, sheep and lamb slaughter runs well above last year’s levels. Prices are responding accordingly. What you normally see is if lamb slaughter is higher, sheep slaughter is lower, and vice versa. However, what we are seeing at the moment is that despite plenty of capacity being taken out, both sheep and lamb slaughter is stronger than last year. 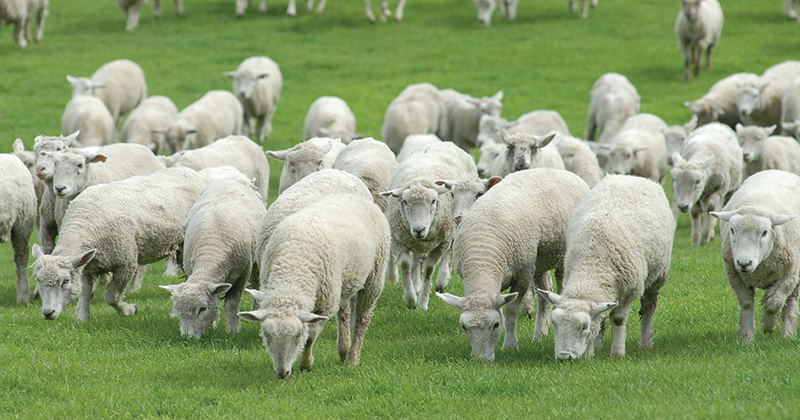 At the end of last week east coast lamb slaughter was 7% higher than last year. Sheep slaughter was 43% higher than last year. In total there were 64,000 head more sheep and lambs slaughtered last week than the same week last year (figure 1). This was a 14.6% increase, and it seems to be driven by a dry summer in Victoria, South Australia and Western NSW. As outlined last week, the extra stock are being slaughtered in NSW and Victoria. Yardings were steady this week, but don’t be surprised to see slaughter at least as strong as recent times. It’s hard to see supply being tighter when the Eastern States Trade Lamb Indicator (ESTLI) has fallen below 600¢ for the first time since October. Mutton prices didn’t suffer as much this week, easing 5¢ on the east coast to 405¢/kg cwt, and gaining ground to 416¢ in the west. While on the west, they had the most expensive lambs in the country this week. The WA Trade Lamb Indicator was at 625¢/kg cwt this week. There is no rain on the way, but we are in for a series of short weeks. What this does to the market is debateable, but in general you’d expect lower kills to see prices weaken further, or at least struggle to rise. The good news is the heavy kills we are seeing now means that there will be fewer lambs later, and this means higher prices. We might have to wait for some rain before any serious rally eventuates however.